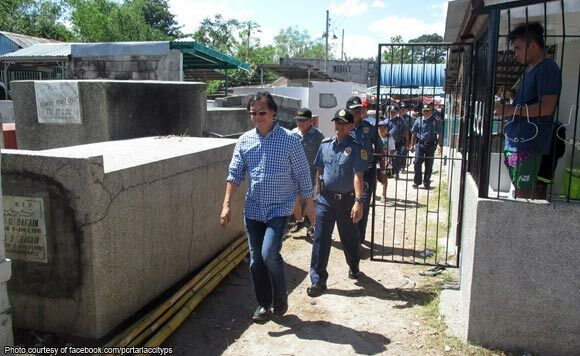 Acting Tarlac City Mayor Genaro “Aro” Mendoza conducted a public inspection last Oct. 31 and Nov. 1 as the public observed Undas 2018. According to the Tarlac City Information Office, Mendoza, who is the city’s vice mayor, led other officials in going around different cemeteries, transportation terminals, and the Flower and Candle Market at the Tarlac City Plazuela. He was joined by members of the city council, other city officials and city police chief Joel Mendoza. The officials also visited public assistance tents of several non-government organizations near cemeteries and along the highways. “Said patrol was done to personally oversee the safety and security operations, as well as the traffic schemes, launched for the long weekend,” the city information said.